Hi everyone! 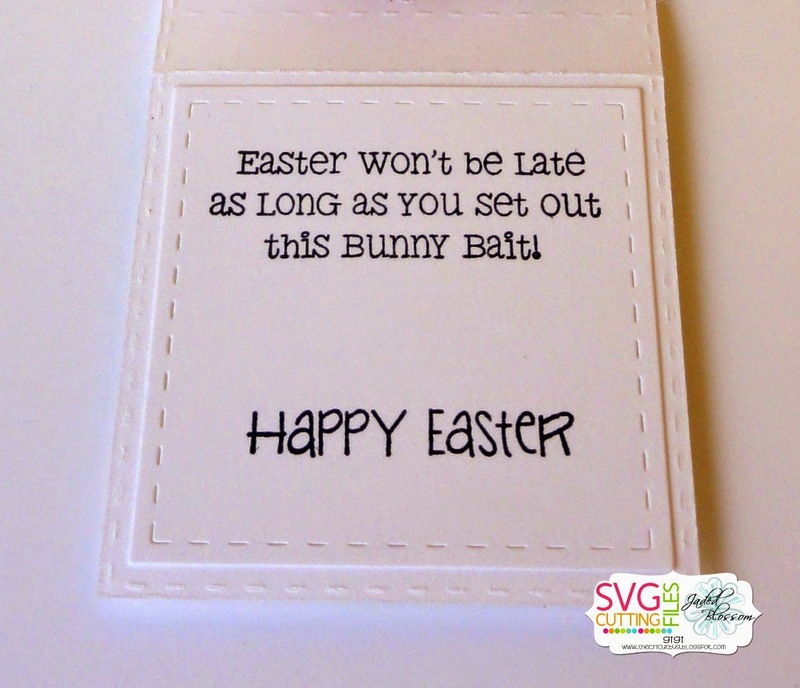 This is GiGi from The Cricut Bug and I am sharing these fun Easter treats. I used several JB products to create these. These were so fun to make and I think the kids will get a kick out of them. I started these with the Lollipop Die. I cut them out and then cut colored pieces for the tops. I used the Card Mat Dies for the mat layers and cut the butterflies using the Spring Dies 2. 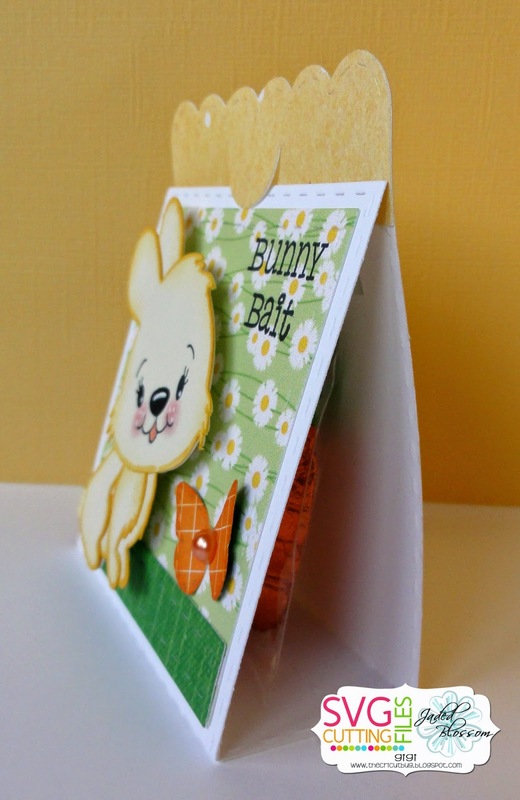 The bunnies were cut from the SVG Cutting Files Sweet Baby Bunny file and I stamped their faces with a Peachy Keen Critter face stamp. 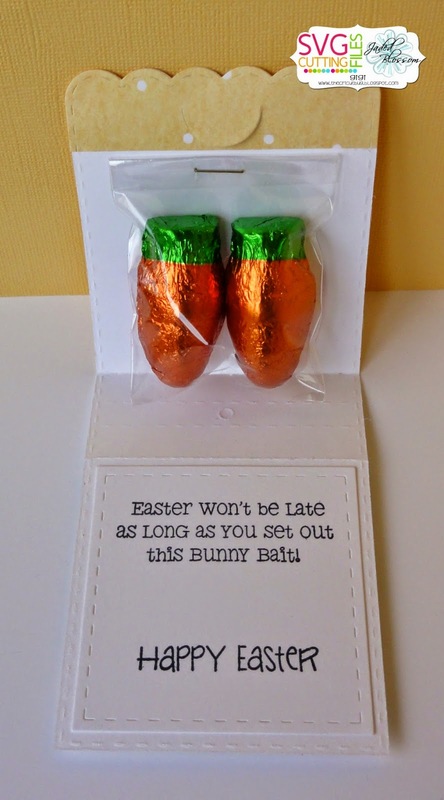 To finish, I stamped all of the sentiments from the Easter Treats 2 stamp set and stapled a 2.25 X 8 inch clear bag to the inside with chocolate carrots. These are just soooo cute. Thanks for sharing. OMG GiGi, these are absolutely adorable! These are so adorable!! I love them! !